Stress and anxiety are a common part of life for most people. However, when your anxiety impedes your ability to perform everyday activities and causes immense stress and fear, probably you have a mental disorder. 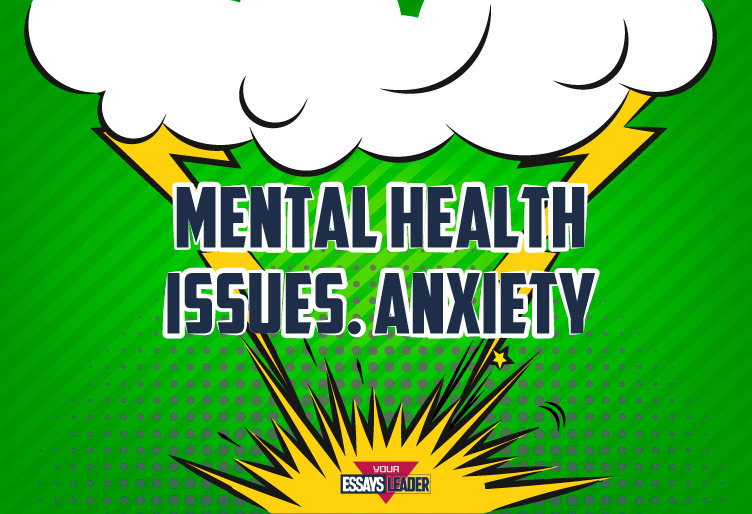 According to the Anxiety and Depression Association of America, it is the most common mental issue that affects 40 million individuals aged over 18. 75% of them experience it before they turn 22. Unfortunately, only one-third of these people seek help. In case you regularly experience these symptoms, you should see a specialist in your campus. They will determine how serious is your anxiety and assign a treatment, if necessary. It’s essential to timely recognize the symptoms of anxiety in yourself or your friend to implement actions and treat it. Remember: in case your or your friend’s anxious feelings are brief and occasional, it doesn’t necessarily mean an ailment. But if they persist and worsen, the professional help is required. How to Notice Signs of an Anxiety Disorder in a Friend? In case you see any of these symptoms in your friend, provide him with your support. Talk to him, listen attentively and help find professional assistance. Never criticize or judge him. If your friend doesn’t want to seek treatment, consult a specialist yourself to see how you can help. How Do You Notice Signs of an Anxiety Disorder in Yourself? In case you have any of the above mentioned signs, don’t hesitate to consult a healthcare provider. Remember that you have to be serious about your mental wellness. Persistent anxiety can be an alarming sign. So pay attention to yourself and your friends to get timely help. Remember that your mental health is in your hands.